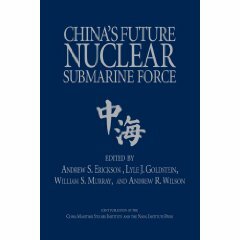 Andrew S. Erickson, “Pipe Dream—China Seeks Land and Sea Energy Security,” Jane’s Intelligence Review, China Watch, Vol. 21, No. 8 (August 2009), pp. 54-55. China is seeking to reduce its dependence on seaborne oil shipments. This involves the construction of new pipelines, some of which are more economically viable than others. 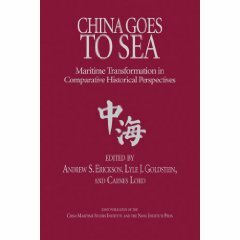 However, this will not be sufficient to supply China’s expected growth in demand, leaving the country dependent on sea shipments. 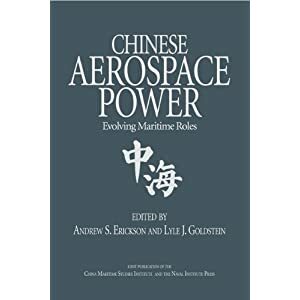 Beijing is pursuing a two-pronged strategy to secure its energy, using the navy to protect maritime supply and building new pipelines. China’s growing reliance on seaborne oil shipments has led to an increasing willingness to secure vulnerabilities to its sea lines of communication. As a result, the People’s Liberation Army Navy (PLAN) has developed a major naval base at Sanya on the southern island of Hainan, and sent a two-destroyer mission to the Gulf of Aden in January to protect its shipping from piracy. 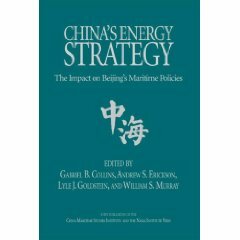 Concerned about its ability to ensure maritime energy security in the near term, Beijing is also working simultaneously to secure its oil supplies through diversification of supply routes. By delivering oil from neighbouring producers such as Russia and Kazakhstan and building additional pipelines to bypass the Strait of Malacca, China believes it can protect its oil imports from possible interdiction during a conflict. At present, a Kazakhstan-China pipeline is operational; a Russia-China line could become operational within 18 months; a China-Myanmar pipeline project is slated to begin construction in 2009; and a China-Pakistan pipeline remains entirely aspirational.